Shown pondering his next step, with the merest hint of a gun in his right hand, Liam Neeson reprises his role as Bryan Mills, who in this film is taken hostage during his family's vacation in Istanbul. Bryan enlists the aid of his daughter, Kim, to help them escape, and uses an advanced level of special forces tactics to get his family to safety and systematically take out the kidnappers one by one. 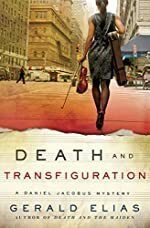 We've just published our Review of Death and Transfiguration by Gerald Elias. A Daniel Jacobus Mystery. Minotaur Books Hardcover, June 2012. This is the first mystery, of five published, in this series. 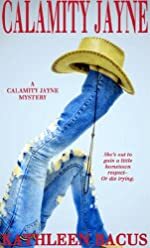 About Calamity Jayne (from the publisher): Tressa Jayne Turner has had it up to here with the never-ending string of dumb-blonde jokes and a longtime nickname that's harder to get rid of than lint from a belly button. Dubbed "Calamity Jayne" by Iowa Department of Natural Resources officer, Rick Townsend, Tressa's out to gain a little hometown respect — or die trying. Unfortunately, that may be the case. She's just been handed the perfect opportunity to get "Ranger Rick," the doubting Don Juan of the DNR, and a sketpical citizenry to take her seriously. How? By solving a murder no one else believes happened … No one, that is, except the killer. Apple iBook Download Link (via iTunes). This special ebook edition also includes a sneak peek of the author's next book, Whiplash River, scheduled to be published in July 2012. 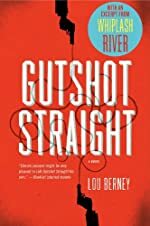 About Gutshot Straight (from the publisher): When Charles "Shake" Bouchon, professional wheel man, walks out of prison after a three-year stretch for grand theft auto, he's got only two problems: he's too nice a guy for the life he's led and not nice enough for any other. Now Shake and Gina are on the run to Panama, hoping to unload the very valuable — and highly unusual — contents of The Whale's briefcase. Shake could end up a rich man, but first he'll have to outmaneuver two angry crime bosses, a murderous Armenian thug plagued by erectile superfunction, a former pro football player who blames Shake for his romantic woes, and a billionaire swindler with a flair for the theatrical. Not to mention, and not the least, Shake will need to survive his own heart, since he's going to discover that wholesome housewife Gina is even more intriguing, and a lot more complicated, than he ever imagined. 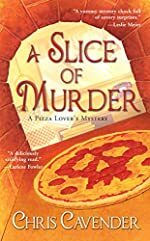 This is the first mystery for pizzeria owner Eleanor Swift. A couple of notes before we get to this week's new additions. • It's always good to check in periodically with Poisoned Pen Press. This week we found five mysteries in the "Posadas County" series by Steven F. Havill that have recently been reduced to $2.99 or less; one, the first in series, is $0.99. • Another specialty mystery publisher, Oceanview Publishing, frequently rotates its selection of titles priced $2.99 or less. We added the "Sammy Greene" mysteries by Deborah Shlian and Linda Reid to our list this week. Below are listed the new $2.99 or less titles we added today; click on the cover or title for more information or to purchase the Kindle edition. D. R. T. (Dead Right There) by Ray Ellis. A Nate Richards Mystery (2nd). Heartshot by Steven F. Havill. A Posadas County Mystery (1st). Bitter Recoil by Steven F. Havill. A Posadas County Mystery (2nd). Twice Buried by Steven F. Havill. A Posadas County Mystery (3rd). Scavengers by Steven F. Havill. A Posadas County Mystery (10th). Red, Green, or Murder by Steven F. Havill. A Posadas County Mystery (16th). They're Watching by Gregg Hurwitz. Mai Tai One On by Jill Marie Landis. An Em Johnson, Tiki Goddess Mystery (1st). Dead Air by Deborah Shlian and Linda Reid. A Sammy Greene Mystery (1st). Devil Wind by Deborah Shlian and Linda Reid. A Sammy Greene Mystery (2nd). The Lost Van Gogh by A. J. Zerries. This weekend only, June 30th and July 1st, 2012, Big Fish Games is having a Buy One, Get One Free sale on Collector's Editions. Here's how it works. Select two Collector's Edition games and add them to your cart. Apply the coupon code FREEGAME at checkout to realize your savings. There is no limit on the number of games you can buy using the code. For example, buy six Collector's Edition games and you'll only be charged for three. To get you started, here is a link to all of the Collector's Edition games on the site: hidden object, adventure, and more! Popular mystery titles include Final Cut: Death on the Silver Screen, Shadow Wolf Mysteries, Sherlock Holmes and the Hound of the Baskervilles, the "Dark Tales of Edgar Allan Poe" series of games, and the "Mystery Case Files" games. Remember, this Big Fish Games BOGO sale ends tomorrow, Sunday July 1st, 2012 at 11:59 PM Pacific Time. 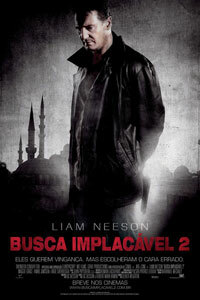 A new US poster (right; click for larger image) and international teaser trailer (below; in English with French subtitles) have been released for the thriller Taken 2. The poster's tagline: "First they took his daughter. Now they're coming for him." 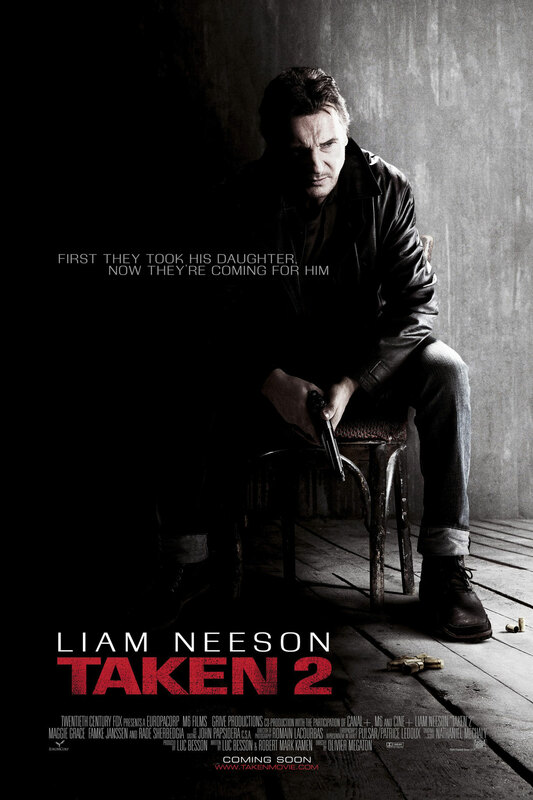 Liam Neeson reprises his role as Bryan Mills, the retired CIA agent with a particular set of skills who stopped at nothing to save his estranged teenage daughter Kim from Albanian kidnappers — the storyline from the 2008 film Taken. When the father of one of the kidnappers swears revenge and takes Bryan and his wife hostage during their family vacation in Istanbul, Bryan enlists Kim to help them escape, and uses the same advanced level of special forces tactics to get his family to safety and systematically take out the kidnappers one by one. Directed by Olivier Megaton from a screenplay by Luc Besson (Taken, Lockout) and Robert Mark Kamen (Taken, Gladiator), the film opens on October 5th, 2012. MystereBooks is pleased to feature Five Romantic Thrillers by C. J. Lyons as today's Amazon Kindle Daily Deal. The deal price of $0.99 each is valid only for today, Saturday, June 30, 2012. 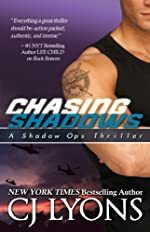 The following titles are included in today's offer: The "Hart and Drake" suspense novels (Nerves of Steel, Sleight of Hand, and Face to Face) and the "Shadow Ops" thrillers (Chasing Shadows and Lost in Shadows). Important Note: Amazon.com updates its Kindle book deal every day at approximately midnight PT. The title referenced above is available at a discounted price for Saturday, June 30, 2012 only. It doesn't happen often, but a television network has uncanceled — we're reasonably sure that isn't a word, but does accurately describe the action — a series. Specifically, and in this instance, CBS has changed its mind about Unforgettable, and has ordered 13 episodes to air during Summer 2013. The series stars Poppy Montgomery as Carrie Wells, an enigmatic former police detective with a rare condition that makes her memory so flawless that every place, every conversation, every moment of joy and every heartbreak is forever embedded in her mind. It's not just that she doesn't forget anything — she can't; except for one thing: the details that would help solve her sister's long-ago murder. A&E has renewed Longmire for a second season. The western crime drama, based on characters created by Craig Johnson, stars Robert Taylor as Wyoming Sheriff Walt Longmire. Longmire currently airs on Sundays on A&E. Earlier today we mentioned that the pilot episode of Endeavour is premiering on PBS's Masterpiece Mystery! this weekend. Later in the season, the third season of Wallander premieres — September 16th — but our British cousins will have already seen it by then, since the premiere date in the UK is July 8th. Toward that end, BBC One has released a short, 40-second, trailer for the season, embedded below, with scenes from the episodes very effectively paired with a cover of Simon & Garfunkel's The Sound of Silence. Based on characters created by Swedish crime novelist Henning Mankell, Kenneth Branagh stars as homicide detective Kurt Wallander in this BBC crime drama. 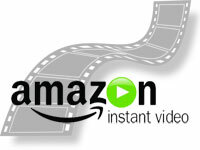 Here is this week's list of the top bestselling mystery and suspense television and film videos available to download from Amazon Instant. The Inspector Morse prequel Endeavour airs this Sunday, July 1st, on PBS's Masterpiece Mystery! (Check your local listings.) Originally airing as a stand-alone episode, it is now considered a pilot for the series, as ITV has commissioned four additional episodes to air in 2013. Shaun Evans stars as the young Endeavour Morse, who was played by John Thaw in the original series. The character was created by crime novelist Colin Dexter, who will act as a consultant to the new series. It is 1965, and a 15-year-old Oxford schoolgirl, last seen waiting alone in the rain at a bus stop on early Sunday morning, has disappeared and is presumed dead. The hunt for Mary Tremlett draws rookie Detective Endeavour Morse, the conflicted young detective on the verge of resignation, back to the university he'd suddenly left only a few years before. Stuck between town and gown, he is patronized by his arrogant old rival, now ascending the ivory tower, and scorned by a DS contemptuous of the "college boy". Only the former opera diva Rosalind Stromming, wife of an Oxford tutor with a murky connection to the missing girl, can offer him solace as he tries to navigate a hostile supervisor, the ghosts of his past, and a mystery that deepens with another tragic death. Discredited and at a dead-end, the solitary and cerebral Endeavour drives his first Jaguar, drinks his first pint and, to the sublime strains of opera, fights for the truth as he forges the identity that will someday become Inspector Morse. Watch a teaser trailer for the episode below. USA Network has ordered Graceland to series. We're not entirely sure this is a "telemystery" even though it features agents from the FBI, DEA, and U.S. Customs. The premise is they are forced to live together — undercover — in a beach house in Southern California. What exactly they're doing there is still a bit of a mystery to us. Daniel Sunjata stars as the house's senior FBI agent Paul Briggs, who has a legendary past but traded in his suit and tie for a more zen existence. Aaron Tveit plays Mike Warren, a freshly minted FBI agent just out of the Academy and dripping wet behind the ears. Vanessa Ferlito stars as strong-willed DEA agent Catherine "Charlie" Lopez; Brandon Jay McLaren plays Dale Jakes, a quick-tempered U.S. Customs agent, and Manny Montana plays FBI agent Joe "Johnny" Tuturro, the fun-loving prankster of the house. The series pilot also stars Scottie Thompson as Lauren Kincaid, a loyal and determined DEA agent dealing with the repercussions of her wounded partner, along with Courtney B. Vance as Quantico Section Chief special agent Sam Campbell and Jay Karnes as DEA group supervisor Gerry Silvo. Graceland is created by Jeff Eastin, who is also responsible for White Collar, one of our favorite series, so we're willing to follow along here for a while. 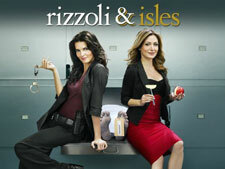 TNT announced today that Rizzoli & Isles has been renewed for a 15-episode fourth season. "Rizzoli & Isles has proven itself to be a strong and enduring hit, not only in terms of the great storylines and performances, but also in terms of the show's stellar ratings," said Michael Wright, head of programming for TNT. "We're thrilled that Rizzoli & Isles will continue to be a vital part of the TNT lineup." Based on characters created by crime novelist Tess Gerritsen, the series stars Angie Harmon as Boston homicide detective Jane Rizzoli and Sasha Alexander as medical examiner Maura Isles. Rizzoli & Isles is currently airing on Tuesdays on TNT. Endemol Studios is adapting the French political thriller Les Hommes de l'Ombre ("The Men of Shadows" or maybe "The Shadow Men") for US television under the working title of Kingmakers. The 6-episode series aired earlier this year on France 2, with a second season having already been commissioned. The storyline follows the aftermath of the assassination of the President of France. An early election is scheduled, and two men are vying for the position. But the key roles are the men behind the men, the "shadow men", who will do anything to get their respective candidate elected. 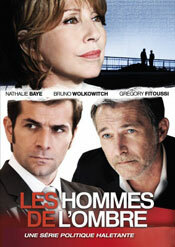 "Les Hommes de l'Ombre offers a unique and ambitious format to develop a relevant, timeless and compelling American drama with original characters that bring the audience behind the scenes of high-stakes politics, starting with a presidential political campaign," said Endemol's CEO Philippe Maigret. 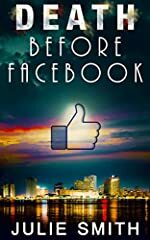 MystereBooks is pleased to feature Death Before Facebook by Julie Smith as today's fourth free mystery ebook. Originally published in 1994 as New Orleans Beat, the author has renamed this fourth in series to the present title. About Death Before Facebook (from the publisher): An unclassified death on the coroner's daily record is nothing special: a healthy young man found dead after an apparent fall from a ladder. Yet in a neglected old house set inside a jungle of greenery, Detective Skip Langdon listens to an unusually listless mother talk about her son's death and his empty life … and wonders. It seems the shy thirty-one-year-old victim, Geoff Kavanagh, was a computer genius who often frequented the TOWN, a computer network of some 10,000 faceless voices. Within this extraordinary community, strangers achieve an odd type of intimacy, sharing the darkest of secrets. 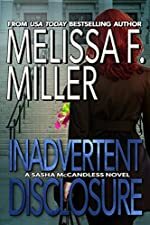 MystereBooks is pleased to feature Inadvertent Disclosure by Melissa F. Miller as today's third free mystery ebook. Tiny dynamo Sasha McCandless returns in this second mystery of the series. About Inadvertent Disclosure (from the publisher): It's been six months since an airplane crash altered the course of attorney Sasha McCandless's professional and personal life. She's busy building her solo law practice and tending her budding relationship with federal air marshal Leo Connelly, who helped her stop a madman. When Sasha drives from Pittsburgh to rural Clear Brook County to argue a run-of-the-mill discovery motion, she finds a town bitterly divided over the issue of hydrofracking the Marcellus Shale beneath it. Outsiders from the oil and gas industry and environmental activists threaten to rip apart the fabric of the small town. Then the town's only judge is murdered, and Sasha can't just walk away. But, as she works to find the killer, she must race to save the town before it fractures beyond repair.